If you’re planning to take the OTA route, however, then there are a few things you should consider before hitting that download button. First and foremost, you should be connected to a WiFi network in order to download the update. Secondly, your device’s battery should be beyond the 50% mark when the installation begins. 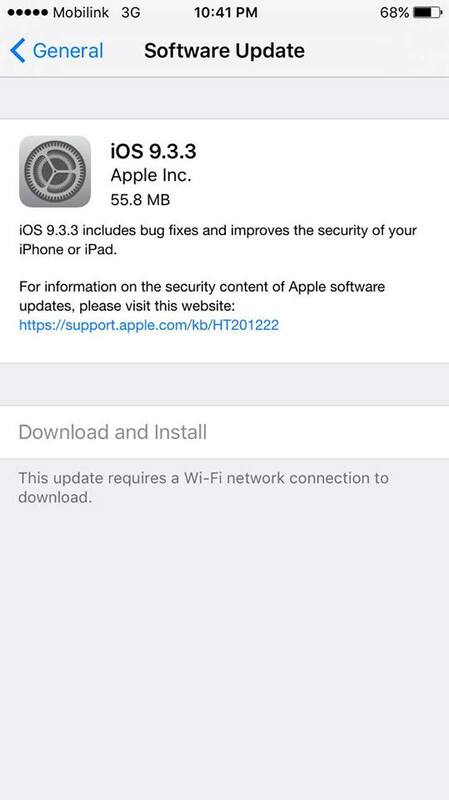 If you fulfill those two requirements explicitly, then navigate to Settings > General > Software Update to download iOS 9.3.3. 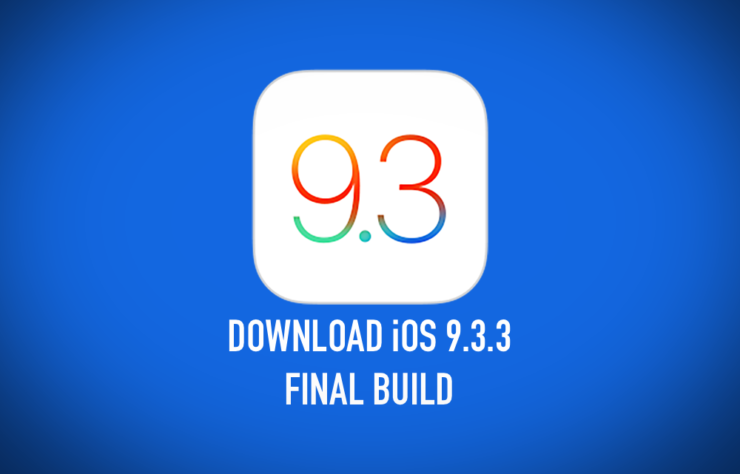 We suggest not touching your device at all during the download and installation process. Although the OTA route ensures you do not lose your data, but we will still recommend taking a backup nonetheless. You can do so either using iTunes or iCloud. The backup process is absolutely necessary if you’re planning on doing a clean install via iTunes.